I would like to thank Reverend Joy Douglas Strome, Pastor of Lakeview Presbyterian Church, for hosting our quarterly General/Community meeting on Tuesday night. Reverend Strome highlighted some exciting Summer programs that the Church will be conducting. She also discussed the remarkable plans for the proposed new building project. For more information, please go to lakeviewpresbyterian.org. We had a great turnout for the meeting. Approximately one hundred (100) people from the community came to hear about Alderman Tom Tunney’s proposed Sports Plaza Ordinance and to hear from the Cubs about their competing Patio Liquor License application. These two (2) opposing proposals have received a lot of attention in the press. I would like to take this opportunity to express my appreciation to the Cubs and to Alderman Tunney and his staff for their informative presentations. Regardless of how you may feel about either plan, I urge you to take this rare opportunity to have an impact on what happens in our neighborhood. Please take a few moments to send an email to Commissioner Steadman at BACPliquorcommission@cityofchicago.org. Please send a copy to Alderman Tunney at ward44@cityofchicago.org. In your letter, please state your support or opposition to the Cubs/Ricketts Patio liquor License Application and briefly state why you are opposed to or in favor of the license. Additionally, please be sure to include your address so that the Commissioner knows that you an area resident and not a fan from outside of the neighborhood. As I write this letter, the Cubs have sent people out to collect signatures on a petition in support for their Patio Liquor License. This may be the last and best opportunity for the residents to have a say in what happens in our neighborhood. The deadline to have your opinion considered by the Commissioner is 5:00 today. Please send your email to BACPliquorcommission@cityofchicago.org. Please send a copy to the Alderman at ward44@cityofchicago.org. This entry was posted in Community News, ELVN News, Ward 44 and tagged 44th ward, Alderman Tunney, Cubs, Wrigley Field on June 9, 2016 by elvn_updates. 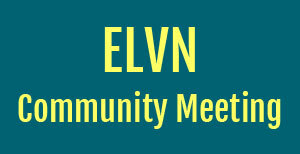 East Lake View Neighbors will be holding a general/Community meeting tomorrow evening, Tuesday, June 7, 2016 at 7:00 p.m. in the Auditorium at Lakeview Presbyterian Church. The Auditorium is located on Addison Street, adjacent to the Sanctuary. Among the topics to be discussed, we will consider the Cubs patio Liquor Application for their planned Plaza and Alderman Tunney’s pending Plaza Ordinance. The Alderman and the Cubs will be present to discuss their proposals. This topic has gotten a lot of press coverage and has proven to be quite controversial. This meeting will be an excellent opportunity to decide, for yourselves, what you want in our neighborhood. Regardless of your feelings on the matter, the Alderman, the Cubs, and the community will appreciate your input. The deadline to express your support or opposition to either proposal is Thursday, June 9, 2016. Please send an email to the Chicago liquor Commission at BACPLiquorCommission@cityofchicago.org and copy Alderman Tunney at Ward44@cityofchicago.org. This is a rare chance for the residents of East Lakeview to be heard and fully considered regarding what happens in our neighborhood. This entry was posted in Community News and tagged Alderman Tunney, Chicago Cubs, Wrigley Field on June 6, 2016 by elvn_updates. East Lake View Neighbors Association (ELVN) will be hosting representatives from The Chicago Cubs and Alderman Tunney and his staff to discuss the Cubs’ pending application for Patio Liquor License as well as Alderman Tom Tunney’s proposed Plaza Ordinance. All members of the community surrounding Wrigley Field are welcome to attend and consider the various proposals. This is an excellent opportunity to learn the facts directly from the people involved in the issue. The meeting will be held at 7:00 P.M. on Tuesday, June 7, 2016 in the Auditorium at Lakeview Presbyterian Church, 716 W. Addison Street. This entry was posted in Community News, ELVN News and tagged Chicago Cubs, Wrigley Field on June 3, 2016 by elvn_updates.